Life is not always a garden of roses. There will always come a time when you will feel down, hurt or drowning in emotions. While it is true that anxiety and depression are among the conditions that do not go away easily, many people that turn to drugs in an attempt to find the solution to their trouble find themselves damaging their sanity and health even more. 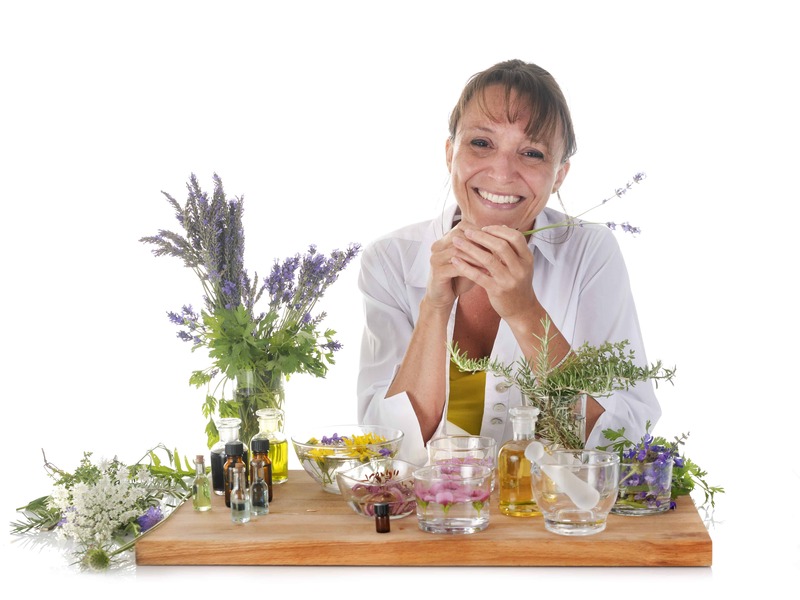 Aromatherapy is an all-natural approach to the treatment of nervous system disorders like depression and anxiety. 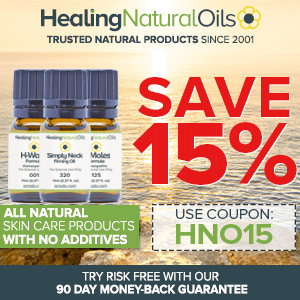 It makes use of therapeutic grade essential oils as its primary tool against the condition where every essential oil used has its unique treatment characteristic and can also prevent further episodes of anxiety and depression. Having said that, here are some of the best essential oils that I recommend for relief in conditions like anxiety and depression. 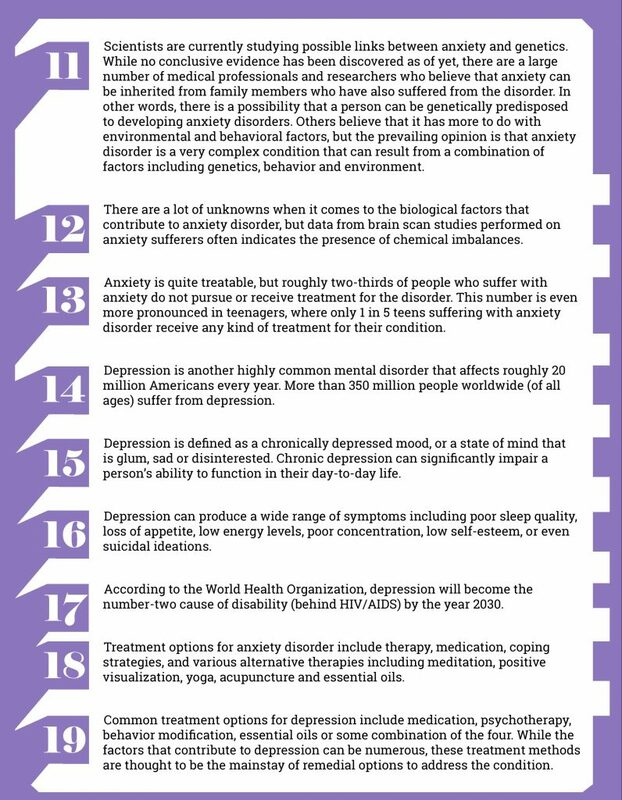 The two images below show 19 facts about anxiety and depression. Lavender is one of the more common essential oils that are used to treat conditions like anxiety and depression. Inside lavender, over 150 different components interact with each other to produce a curative effect that offers anxiety and depression relief. When inhaled, lavender breaks down the fast brain wave (the root cause of anxiety) and replaces it with slower brain wave, helping an individual to relax and unwind. You can also use lavender essential oil to help you sleep by diffusing it in the air, applying 1-2 drops to the feet before bed or adding 1-2 drops on your pillow at night. When buying this essential oil, make sure that you do not compromise on quality – there is a lot of artificial crap sold in the market, so be careful not to buy it. In order to determine the quality of lavender, I just make sure that I am buying something high in esters and very low in cineol. The floral aroma of rose geranium is something that anyone would love. This essential oil helps your body balance its hormonal levels and gives you an enhanced feeling of relaxation. If you find yourself stuck in an endless cycle of depression, anxiety, work, stress, and do not know what the way forward is; rose geranium can take away all the pain, and it is said that it works by stimulating the lymphatic system. 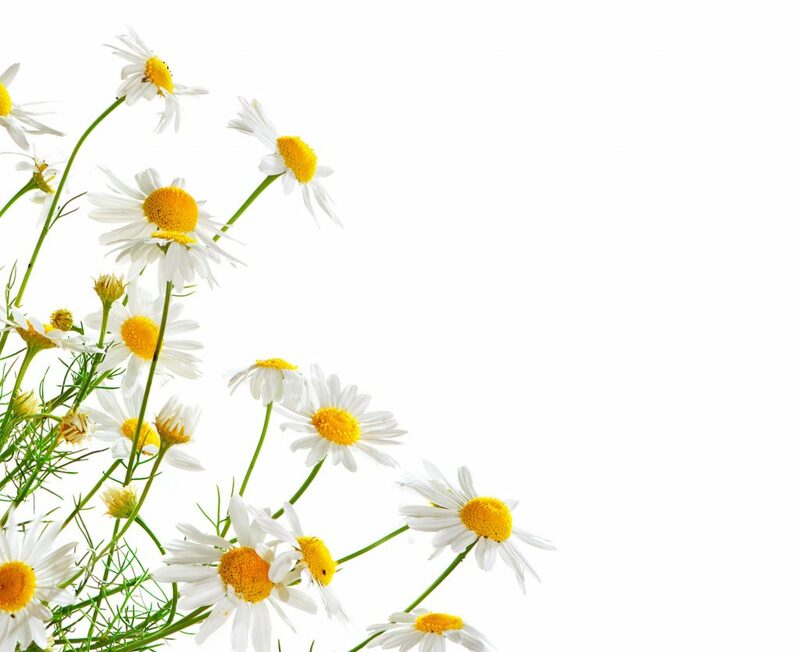 The smell of Roman Chamomile is very distinguished and varies from slightly sweet to fruity at times. While being used for over 2000 years for the treatment of several diseases, including vomiting, restlessness insomnia, and Attention Deficit Disorder (ADD), Roman Chamomile primarily provides a calming effect to the user. 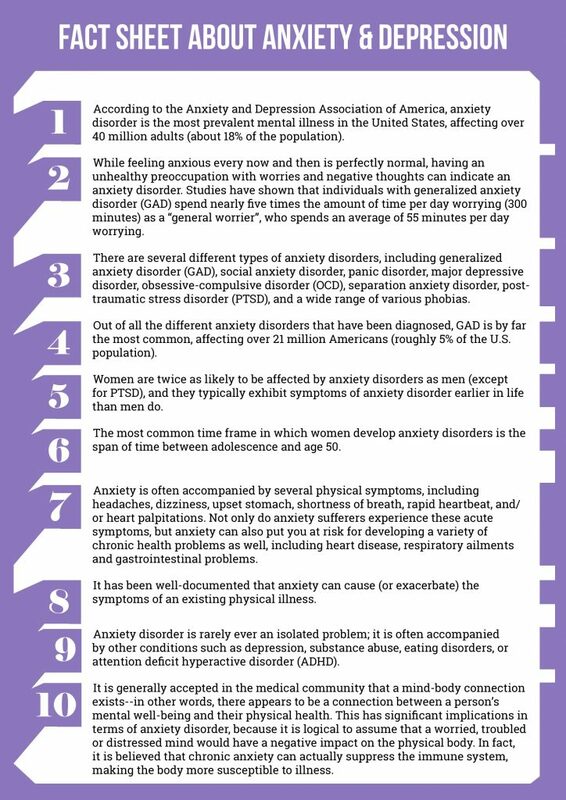 Even though it probably will not produce a permanent cure for anxiety and depression, it can help with a variety of associated issues that cause such medical conditions. Clary Sage is my personal favorite for nervous system disorders like anxiety and depression. While it is true that using this oil will not result in a cure, it will certainly enhance the effect of the treatment you are undergoing and make it easy for you to combat the unwanted episodes of fear, distress and anxiety. Bergamot promotes the release of pent-up feelings that can lead to not only depression but also anxiety, insomnia and sudden mood swings. 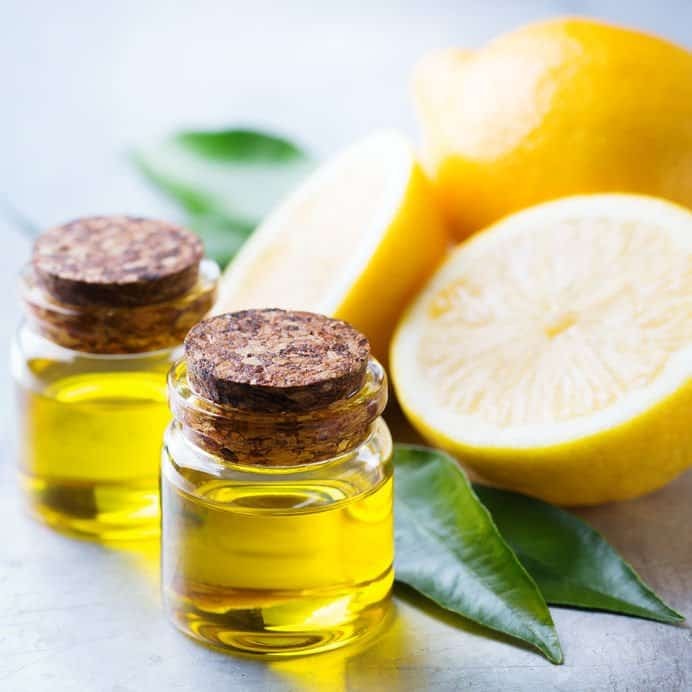 The fruity fragrance of Bergamot restores the hypothalamus to a calmer state called homeostasis, which later calms down an individual suffering from anxiety, stress or depression. In addition, it directs your nervous energy away from unproductive and addictive behavior, helping you to rediscover spontaneity and optimism. Putting it simply, Bergamot helps you to relax and “let go.” You can apply this essential oil to the feet, back and neck. The calming impact of Jasmine can be compared to a well-known drug called valium that calms the nerves and brings a feeling of relaxation. Jasmine works by increasing the GABA activity in the brain, which helps to regulate the emotions of excitement, depression and anxiety. Although it is not a good idea to create a direct comparison with the drug valium, Jasmine might be one of your best bets in aromatherapy to help with your anxiety. Sandalwood has a sweet, woody, fragrance that can easily make someone less anxious. In addition, the fragrance is very rewarding for patients suffering from insomnia and other sleep disorders as it improves the overall quality of sleep. This fragrance comes from the leaves of the tree, and the oil that we use for therapeutic massage is extracted from the core. Sweet marjoram helps to regulate the blood circulation and causes a state of relaxation. Just like other essential oils, it will help the patient get a good night’s sleep. I use this oil in conjunction with other essential oils like lavender, bergamot, and chamomile for a more powerful effect. Ylang ylang is a tropical plant that grows in Asia. While it can help with stress, panic and depression, it is much less potent when compared to jasmine. When using this essential oil, it is necessary to ensure that you get a top quality blend – otherwise you may end up using oil that will not offer you any kind of relief. You may also use this oil along with bergamot to make it more pleasant and effective. Frankincense is the most valuable essential oil when it comes to helping you to allay fear, anxiety, nervousness, tension and stress. This is also a great essential oil you can use to help your body maintain overall cellular balance, and to support your mind during times of extreme anxiety. Just rub 1-2 drops on feet and back of neck to calm down your mind and body. I also love mixing this oil with wild orange. Among all the citrus oils, wild orange is one of the best mood lifters. Because it helps to improve the blood circulation and detoxifies the liver and gallbladder, it is useful for supporting the body against panic. Whenever you feel as if it is a doomsday or you are overwhelmed with anxiety, just rub this essential oil on the back of neck or bottom of feet and relax in its wonderful fragrance. It smells even better when blended with Frankincense! Lemon essential oil is a very versatile oil that is reviving, radiant, stimulating and uplifting. It inspires trust and a sense of security, relieves confusion, worries, and helps you achieve a clearer perspective in life. Just add 1 drop of this oil per glass of water and continue drinking throughout the day. Patchouli works by stabilizing, harmonizing and grounding the mind. It diminishes anxiety and depression and helps in recovery from nervous stress, exhaustion and stress-related conditions. This beautiful blend of frankincense, blue tansy, howood and spruce promotes a sense of calm and well-being. It is mood lifting, reduces stress, and acts as a nerve tonic and cell re-generator. Apply this blend to your feet, back of your neck, chest and wrists for permanent relief from conditions like anxiety and depression. This blend includes the essential oils of eucalyptus, lemon, peppermint, tea tree, and Cardamom Seed. Using this blend will help you breathe deeper and calm down your system during a panic attack. This great blend supports the body through both depression and anxiety. Essential ingredients of this blend include elemi, tangerine, lemon myrtle, lavandin, ylang ylang, melissa, sandalwood and osmanthus. Apply few drops of this blend behind the ears, over the chest, temples and neck and across the eyebrow. With the use of this blend, you can expect to have relief within minutes. I personally use this blend for myself to promote a sense of well-being and positivity. Essential ingredients of this blend include lavender, roman chamomile, sweet marjoram, sandalwood, ylang ylang and vanilla bean. Use 5 drops of this blend in a hot bath to relax your mind and body. You can also apply few drops of this blend to back of neck or inhale using the diffuser. In addition, you can also apply a couple drops on the bottoms of your feet to get rid of the tiredness acquired during the day. Add a few drops of your chosen blend in a diffuser and diffuse during the day to raise your spirits or calm your mind. Use it in the evening to help you sleep easily or to promote clarity of mind. Alternatively, just leave a few drops on your pillow to breathe easily while you sleep. Put 1-2 drops of your favorite essential oil on your palms and rub them together to spread the oil. Cup them over your nose and take 4-6 deep, slow breaths to reduce the feeling of stress, depression or anxiety. Add 2-4 drops of essential oils on a cotton ball and zip them in an airtight bag to take with you or have a small bottle handy with you to use as a sniff whenever needed. Add 8-10 drops of your preferred essential oil blend to 3 ounces of carrier oil (sweet almond, grapeseed or jojoba are all good choices) to get an uplifting and relaxing massage. Add 5-10 drops of essential oils to 2 tablespoons of carrier oil or lotion without natural perfume. Rub the mixture on your neck, chest, feet, wrists and ears for immediate relief. Add 5-10 drops of your chosen essential oil blend in your bath in order to alleviate the feelings of stress, anxiety or depression. Dilute the oils in 1 tbsp of carrier oil before you add them to your bath if you have sensitive skin. Usually do not add oil to the flowing water, as that could evaporate the oil quickly. Add them when you have the tub filled and have bath gently. Combine these essential oils in a small glass jar. Use dark glass to avoid oxidation. Whenever needed, just open up the bottle and take a sniff or add 1-2 drops on your palm and inhale the vapors. You can also use this blend as your massage oil or add it to your bath. Blend all the ingredients and take 10 drops in total in a dark bottle, replace the lid tightly and roll into your palms to mix. Store the blend away from direct sunlight. Fill your tub with tepid to warm water. Then switch off the water. Now add ¼ ounces of the blend (about one-quarter of the total amount of blend prepared). Mix well by hand. 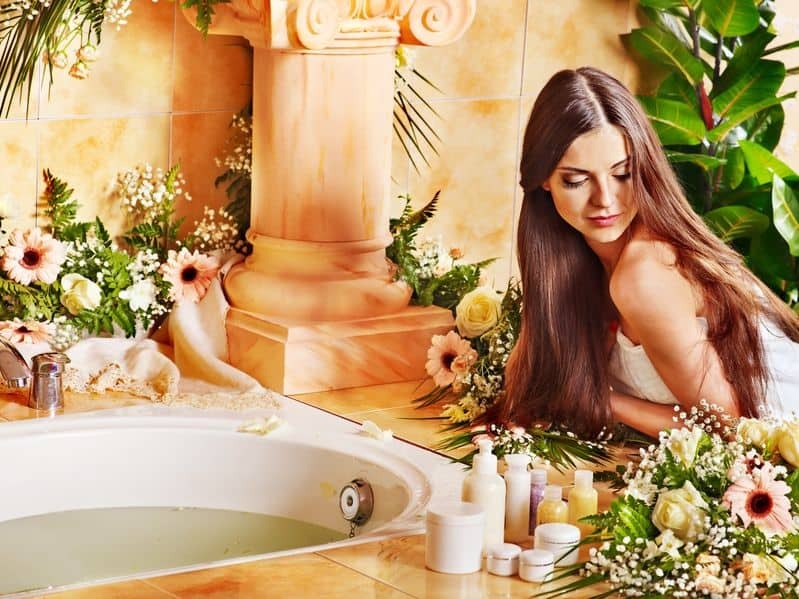 Now relax in the tub and allow the essential oils to do their magic! Mix all the ingredients well. Add salt to a bowl before adding the carrier oil and the essential oil blend prepared above. Mix well with a spoon. Store the blend in an airtight container. Get the running water into your bathtub and add ½ to 1 cup of bath salt prepared above. Mix well to dissolve the salts completely and relax in the bath! Pour the carrier oil in a dark container and then add 10 drops of the blend prepared above. Screw the lid tightly. Mix well to blend. Add all the ingredients to a fine mist spray bottle. Screw the lid. Stir well to mix before every spray. Shake the bottle first to blend all the ingredients. Now spray the room with this blend whenever you want to rest and relax. Few of the people living in your home might be sensitive to the smell. So, exercise caution before spraying over a large area of your house. Do not use more than 20 drops of this blend if you live in a small house. Click here to read more information about my essential oil blends kit for a holistic & natural approach to deal with anxiety and depression. If you are not on medicines, try these essential oils first. If you are already on medicines, talk to your doctor first before starting the use of essential oils. When on essential oils, try to identify the cause of your suffering from depression and anxiety. If you have trouble sleeping, use a blend that helps you sleep better. Before deciding on the effectiveness of a blend, use it continuously for a minimum of 2 weeks. Take some time to perform some research on the effects of different essential oils and how they should be used for conditions like depression and anxiety. For example, citrus oils like lemon and orange can help lift your mood but they may not be very helpful in the long term. Test out different ways of using these oils. The best and most reliable way is to rub a few drops at the bottom of your feet or the wrist. Alternatively, you can put a few drops of your chosen blend in water and use in a diffuser or humidifier. Try different ways of using essential oils to figure out what works best for you. Keep small quantities of the essential oils with you so that you can use them whenever needed. If you are really want to eliminate issues like anxiety and depression from your life, then you need to consider keeping your environment clean and your diet balanced. While essential oils offer great relief, they simply cannot compensate for the possible lack of common sense and bad choices. Some essential oils may be strong enough to burn your epidermis when used undiluted. In addition, make sure that you are not allergic to the essential oils you are going to use. Hi. These look so great! Could you please say the number of drops to use in recipes No 1 – 4? Thanks! You can use 4-5 drops of essential oil diluted in a tsp of carrier oil. For recipe 4, you can add directly to the bath (i.e. no need to dilute). My daughter has depression and anxiety and we have been using scents like some of the ones that you mention for years. Even just at night, it promotes better sleep and a calm mind, which are two things that help with depression and anxiety. I have insomia and i’ve tried a lot of oils to fight it but honestly only Roman chamomile worked for me and you dont see a lot of people recommending it. Great article Olivia.. Thanks for your input and sharing your experience about insomnia and Roman Chamomile. Lavender is amazing and has so many benefits great for anxious children. When people smell the lavender they say it’s amazing as it is therapeutic grade & there are so many fake lavenders on the market. Use therapeutic grade oils always when treating health concerns. You are absolutely correct. Thanks for sharing your experience with Lavender essential oil. Good morning Olivia , hope you are well . My Q for you today is about using Lavender . I have a moderately stressful life and am using the essential oils in this article for my stress and wonder how much Lavender is possibly too much for daytime functioning at home that might cause sleepiness ? Today I used 3 drops in my defuser along with 3 drops Bergamot & 2 drops of Frank . I am doing great, thank you. Hope you are well too (I also feel the stress very now and then!). Interesting you ask, as I did the same thing this week (after a long time) and used 3 drops of Lavender in my diffuser and it was too much. I replaced it with 1-2 drops each of mandarin, roman chamomile, rose, litsea and 1 drop lavender only it was absolutely divine. I think reduce the lavender to just 1 drop as it can be over-powering at times. I sometimes substitute frankincense with sandalwood for a more relaxed and calming effect and that negates the sleepiness. I have severe anxiety and am looking for an oil I can rub on and literally feel anxiety free all day. There are so many out there. I do like the smell of peppermint. I just need something really strong. Any advice? I thankfully have been able to keep depression at bay over the years, but I have some friends and family that have suffered from it. I’ve always wondered if there’s alternative ways to help treat it besides having to use pharmaceuticals which can cause other issues. I’ll definitely have to recommend some of these to a friend of mine whose going through depression right now, thank you for sharing this, I hope it helps them. You are welcome. If you or your friend needs additional help, I’d be glad to assist. I saw you oil mixtures for anxiety and depression. Can I purchase the mixtures, or do I need to mix my own? You will have to make your own blend using the recipes I have on my blog. If you need help, happy to assist. Hi Olivia, I have severe depression and anxiety attacks that present as extreme distress for 2-4 hours. I have excellent support from mental health services both as an inpatient and in the community. I am searching for a topical essential oil or combination of oils to inhale at the first signs of distress. I am reluctant to use diazepam or other type meds during the day as they knock me out – fine for night time but not when I need to be awake and functioning. I am on a range of meds including antidepressants, antipsychotics and night sedation and am taking as prescribed but nothing prescribed so far is helping in difficult everyday situations. Please take into consideration the excellent support you are receiving and know that there is light at the end of the tunnel. There is a special from Miracle Essential oils and you can buy their Destress SIgnature blend for $1 plus shipping costs. Take care and I wish you all the best in this difficult period. If you have any more questions, please do not hesitate to reach out. There is no drug out there to teach you coping skills, essentially drugs are just masking your problem and damaging your body. I recommend meditation and learn to cope with everyday life on your own without taking pharmaceutical drugs. Thanks for sharing, you are totally correct. My question is this. If someone has been diagnosed with adrenal fatigue and have been suffering with anxiety and depression along with the adrenal fatigue and are now having issues with insomnia or not being able to shut their mind off and relax to be able to sleep through the night what remedy of oils would you use to relax them shut off their mind and have a restful sleep? What brand is the best essential oil? I have a diffuser so could use this before bedtime. If I used it that way would it have any adverse affect on someone that is not experiencing those issues? For depression and anxiety related problems, click this link. For Insomnia-related issues, click this link. You can safely diffuse essential oils in your room and throughout the house. If there is a young child or a pregnant person in the house, it is best that they do not inhale the essential oils. Take care and let me know if you need more info. A friend of mine has adrenal fatigue & in our discussion about essential oils she said she’s been told to stay away from tea tree oil. Please refer to this article for essential oils for hypothyroidism. I am a teacher so I am interested in saving money. What would you recommend to get started? I don’t have a bathtub. So direct application, inhalation and perhaps a diffuser would be best for me. Peppermint essential oil is effective for symptoms of upset stomach including IBS constipation. It improves indigestion by calming the stomach muscles. 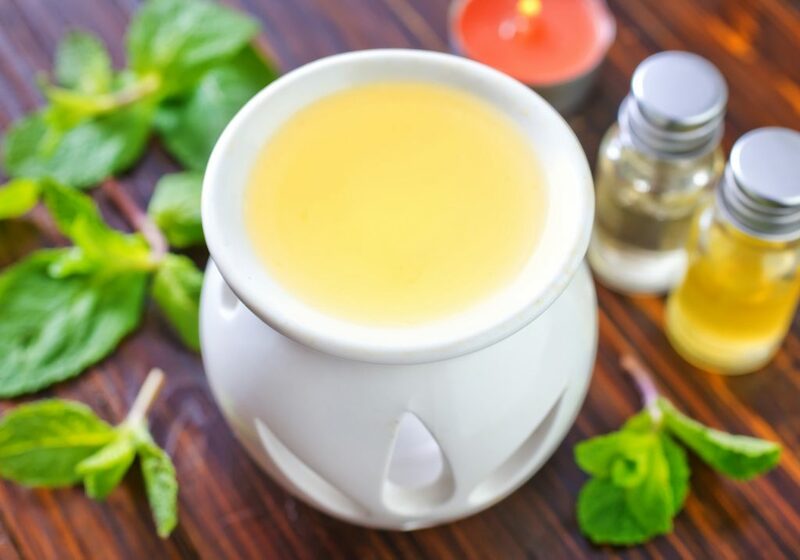 Combine 2-3 drops of peppermint oil with a carrier oil such as olive oil or coconut oil and rub it over stomach in circular motions twice a day. You can also add a few drops of peppermint oil in a diffuser. It’s also worthwhile avoiding sodas, sugary foods, caffeine, alcohol and fried or processed foods. This was so helpful… I have no experience in using essential oils. I decided to buy some with a diffuser I bought. I can’t wait to try some of these recipes and uses out. Just a word of advice: the better the grade of the essential oil you buy (e.g. 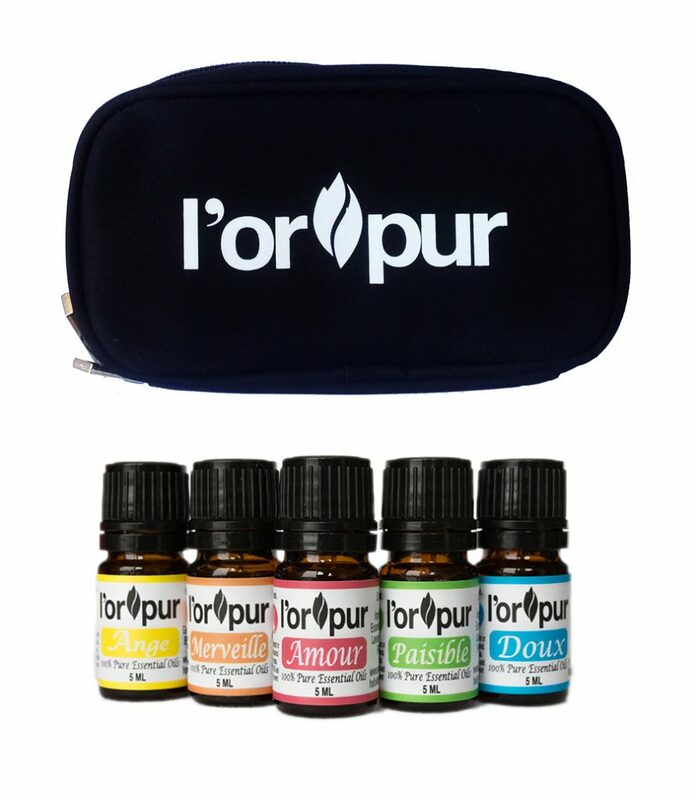 100% pure or therapeutic), the more effective the essential oils and recipes are. Thanks for all the great information on specific oil properties. You give recipes for blends to use in the bath or for body wraps or massage oils but don’t include recipes for blends to be diffused or applied topically. Those would help me the most as I do not take baths, get body wraps or have anyone to give me massages. Thank you for your comment. 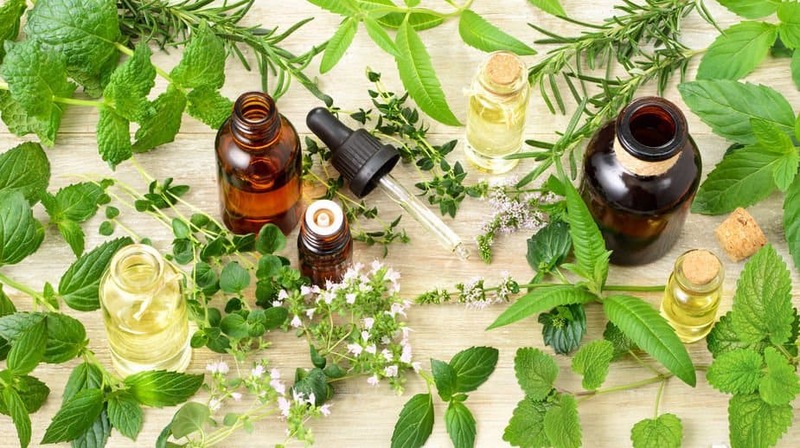 Essential oils can definitely help to reduce stress, relax the mind and body, however severe cases of depression cannot be cured by essential oils – you will need to see your doctor. You can use a few drops of your choice, e.g. lavender and diffuse it throughout the day or add a few drops to your pillow to inhale at night. 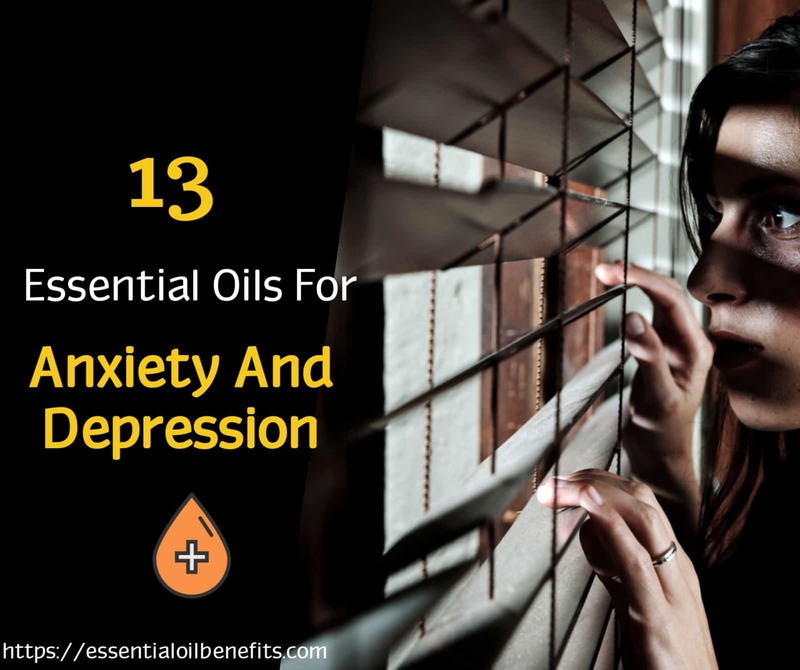 You can also check the article again as there are many other essential oils and ways to use them for anxiety and depression.